26 September 2011, 05:05 a.m.
I’ve been interviewing sales VPs, sales operations directors, contract managers and CIOs. Of all these groups, the CIOs are providing valuable insight into the transition SaaS is going through in their enterprises. Throughout this post I’ll correlate the interviewed CIOs’ comments back to a recent report Forrester published titled Understanding The Business Intelligence Growth Opportunity by Holger Kisker, Ph.D. Dr. Kisker’s findings support many of the insights gained from the research on personas completed to date. Forrester predicts the market for BI SaaS software will be $529M in 2011 growing to $2.4B in 2014. 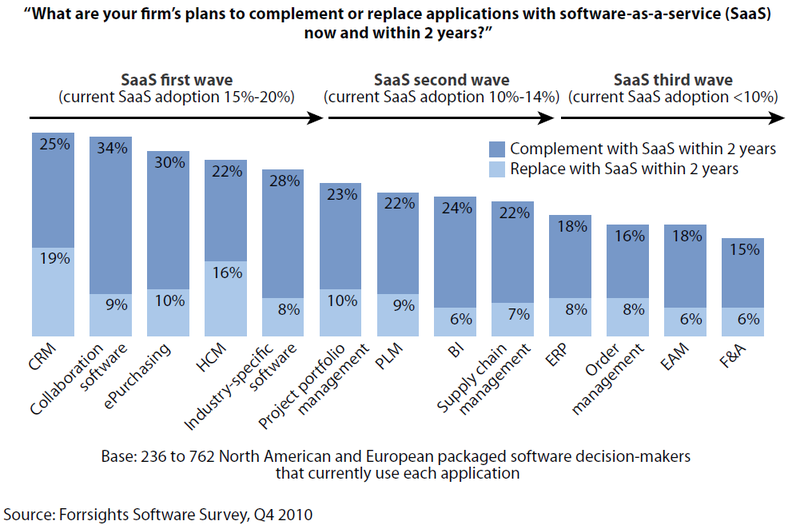 The report mentions that by 2012, up to 30% of companies will have some SaaS-based BI services. From the conversations with CIOs, I think this is actually low. The urgency to get off of legacy reporting systems and onto a unified reporting platform is quickly changing this market. 80% of enterprises will complement on-premise analytics and BI systems with SaaS-based applications by 2014 according to Forrester. From the persona study I am working on, the cut-over is going to be much more abrupt. 50% or less of companies will most likely have on-premise applications in place by 2014, as SaaS-based analytics and BI applications provide business users with the information they need when they need it. 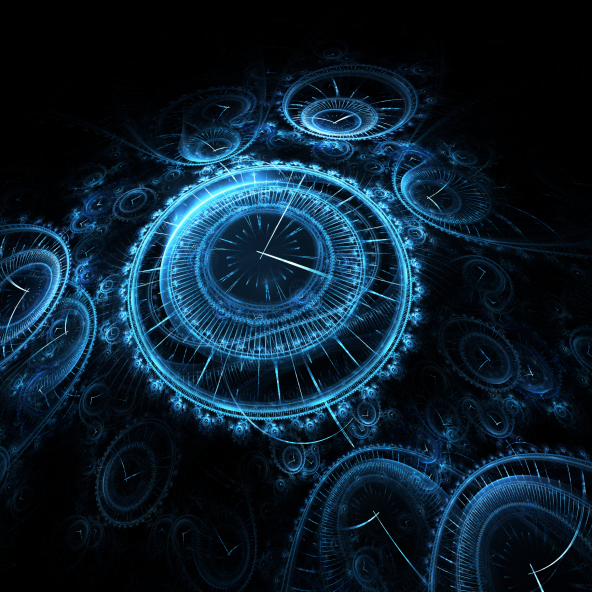 iPads running analytics and BI apps with lenders’ data in real-time are the new bling in financial services. One CIO who recently was recruited to a financial services firm told me he quickly picked out the other C-level execs in the room – they all had iPads running analytics apps with live customer data. One of his first projects: make that happen for the sales teams with a policy app. Everyone I’ve spoken with on this research study tells me being able to get to their analytics data on an Android or Apple iOS device is critical for their build-out plans. The high cost of maintaining legacy reporting applications, integrating them to the latest Microsoft, Oracle or SAP databases, and preserving tribal knowledge are factors pushing CIOs to adopt SaaS-based analytics and BI apps. One of the CIOs is with a government subcontractor who has Airbus, Boeing, Sikrosky Aircraft as their largest clients explained how dashboards are manually generated in Excel, taking weeks and often being inaccurate. To comply with contracts they must move to a faster reporting process. Using SaaS-based analytics in pilots have trimmed the time for creating dashboards from weeks to hours. Cloud integration and security are the skill sets these CIOs are hiring for right now. A quick analysis from Google Insights shows the rapid ascent of cloud integration as a search term. While Insights doesn’t provide demographics, the persona interviews underscore this trend. Analytics and BI data integration wins are setting the foundation for more complex system migrations in the future. Bank of America, Citibank and other financial institutions have client-side systems that are outpacing legacy systems’ ability to analyze and make use of the massive amount of inbound data they provide. Implementing cloud integration projects successfully, in conjunction the successful launch of more scalable SaaS-based analytics and BI applications sets the foundation for migrating even more complex systems. The Forrester Report Understanding The Business Intelligence Growth Opportunity included the following graphic with further underscores this point. Bottom line: The lessons learned from migrating analytics and reporting from legacy to SaaS-based analytics and BI applications, combined with the need to have customer and market intelligence on mobile devices, is leading to rapid changes in this market.